The Basic Mandarin Chinese series offers a complete introductory Chinese language course specifically designed for native English speakers. These books teach spoken and written Chinese separately, allowing you to focus on the area most important to you, and to learn the spoken and written forms of Chinese at different speeds depending on your available time and interest. The free audio and video recordings included with this book reinforce the content and make the learning process easy. Whether you're learning Mandarin for work, travel or other reasons--the Basic Mandarin Chinese approach of having two separate but integrated "tracks" helps you to learn the language more efficiently and more successfully. Special software allowing you to interact with the recordings. 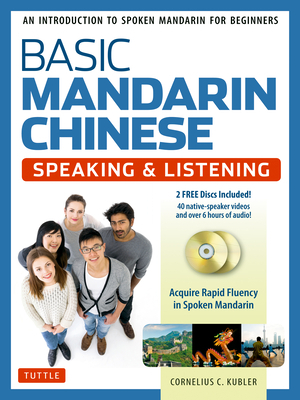 This Mandarin textbook is designed to be used with it's seperately available workbook, Basic Mandarin Chinese--Speaking & Listening Practice Book which provides a range of drills and exercises designed to dramatically enhance your spoken proficiency and improve your Chinese language skills. This book is a new edition of Basic Spoken Chinese.